You have a motorbike. 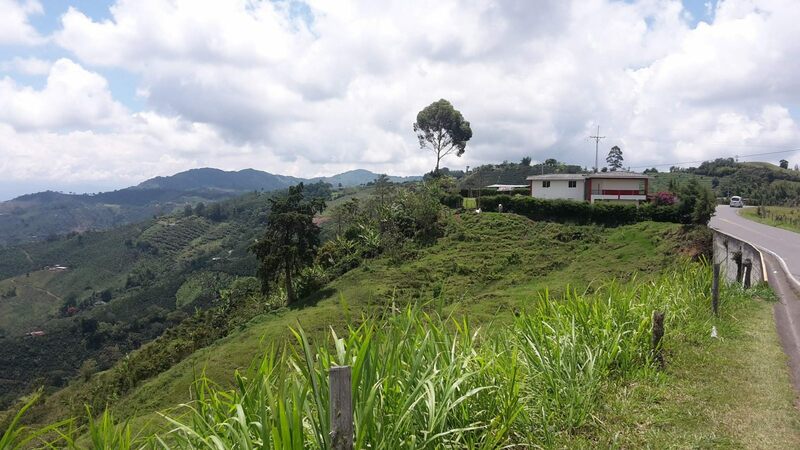 So you decided to take it for a ride from Medellín to Cali; a route that not only connects two of Colombia’s most densely populated areas, it also passes through four extraordinarily diverse regions that are as distinct in their landscapes as they are in their cultural offerings. But the early formalities of the journey were to escape the city, where you left behind flyovers and coughing traffic, and getting on to Ruta 25 which which was the only highway you needed to get to Cali. 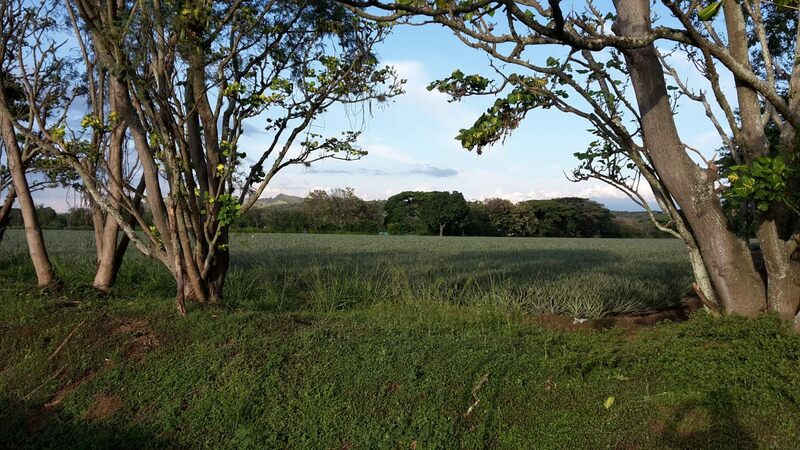 When the suburbs of Envigado and La Estrella were behind you, you had your first climb over hills that peek over green sunlit fincas and are speckled with purple bougainvillea. You forgot sunscreen, long sleeves and gloves so are arms are sunburned. You’re brown but you burned nonetheless. 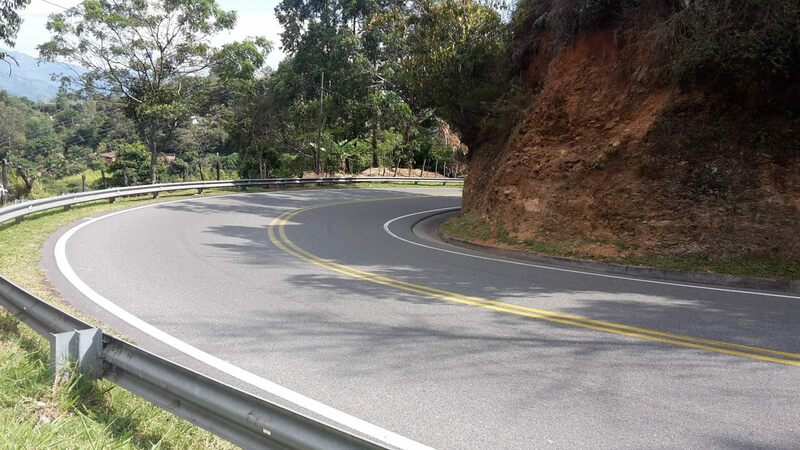 The landscapes of Antioquia are stories told in curves, arcs and slopes. You learned how to drive here and have a deeper understanding of what it means to climb in first and fall in second. Every bend is filled with suspense and the anticipation of what might lie beyond. Signposts hint at the possibilities; a river, a tourist bus, uneven humps, an iguana, snakes, armadillos or an overeager motorcyclist coming right at you. The signposts along the way were arbitrary and ambiguous enough for the rider to interpret what the signposter may have originally intended. Long stretches passed with little guidance when, suddenly, you have a sign that says 30 which to this day has never been obeyed in the region of Caldas. 200m later you’ll come across another sign that says 60 though this number too bears little reason. You spent no more than an hour in Caldas, praying that the signposts warning of landslides were out of an abundance of caution and passing the smaller pueblos of Supia and Riosucio. Before you knew it you were in Risaralda, you had the choice as to what diversions to make. Jardin for lunch, Salento for the night, or one of the three major urban centres in the coffee triangle: Armenia, Pereira or Manizales. You chose none of them, the only detour being when you got lost in the colonial town of La Virginia, by which point the vistas ahead hinted of a universe that you never knew existed. But to pass the mountains of the coffee regions to the plains of the Cauca is a revelation on par with encountering Euclidean geometry for the very first time. It is to understand straight lines, horizons and flatness on plains. It’s the possibility of seeing everything at once and the frightening prospect of looking into the the distant future while hurtling towards it. By now the trucks get monstrous in proportion, paving the girth of Ruta 25 and you encounter speed signs with numbers unimaginable from where you just came from. In Antioquia, you would only ever do 100km/h if you have firm convictions on the existence of a creator or an afterlife. 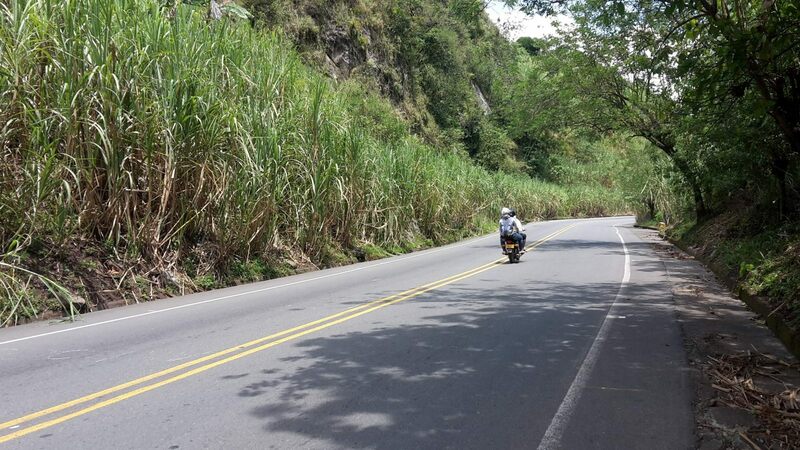 It’s easy to see why motorcyclists in Colombia roar over the speed limits. In addition to ambiguous recommendations, the land persuades all bikers to come to conclude that the road belongs to them. Because to ride a motorcycle in Colombia is to know what it feels like to be the child of a tyrant. Queued up traffic are there to be sped past. Toll bridges guide bikes to the right-hand lane to pass without paying. Parking garages charge a laughable sum. You ride with the feeling that, if you are not a God, then at least you must be some kind of king. Until it rains. And then you go back to being a damp nobody, cowering for shelter, your only solace being the solidarity you have built with the other cowards that also sought refuge as the rain belted down. You didn’t pack an impermeable. Because it doesn’t matter how wet you get, it beats looking like you’re commuting to the meth lab where you work. You got wet. Wetter than wet. There were pores in your skin that couldn’t hold anymore water. But Cartago was only 10 minutes away so you checked into one of those love hotels with fluctuating voltages and rooms neighboured by men with their mistresses. In other words, sparks flew both literally and figuratively as the heat of the Cauca Valley allowed for little sleep. In the morning you had another 200km which you clock off in a little over two hours. You reach Cali and notice the roads have holes large enough to swallow your tires. You paid 20,000 pesos ($7) in gas for the whole trip and said to yourself that there is no way on God’s earth that you’re tapping out before you get the chance to do it all over again.